The great Jack Bogle died last week, on January 15, aged 89. He was the founder of Vanguard, in 1974, inventor of index funds and champion supporter of the interests of individual investors. Vanguard remains the largest mutual organisation in the world, owned by its investors. Famous for his passion about the importance of keeping costs as low as possible, Bogle had other strings to his bow. He did not like smart beta strategies, particularly ETFs, for instance, because he felt that they were too volatile. Of course, he had the benefit of being the first person to define beta – the market – and risk, as volatility, alpha and other terms tended to follow. But he was also a great businessman. As much as he disliked active management because of the perceived lack of certainty in results – once again a definitional issue give markets as a whole are uncertain – and higher fees and charges, he allowed the development of multi-manager products in the US and, eventually, in other parts of the world. I interviewed him only once, by telephone, for a magazine cover story coinciding with the launch of his latest book – his fifth – about 10-11 years ago. With the help of a friendly asset consultant I was armed with some prepared questions which included some implied criticism of market-cap indices. They had become less popular for a period after the dot-com crash of 2000. I felt like I was bowling to Bradman. In his mid-70s, his mind was sharp as a tack, certainly sharper than mine in my early 50s. He calmly and politely disabused me of just about every thought I presented to him. 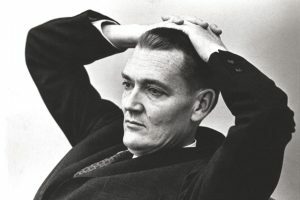 It was a rather boring book – as a writer Jack Bogle made a great fund manager – so we ended up talking about his first heart transplant, which was a chapter in the book. Troubled by his heart for a good part of his life, Bogle had his first transplant in 1996 when he was 66. He had his second transplant in 2017. He’d had his first heart attack at age 31. To the astonishment of those around him, he kept coming back, coming back to work. After stepping down as chief executive he still came into the office almost daily and focused on the company’s research initiatives. He was also passionate about research and, wherever possible, made it available to the industry as a whole. In the end, it was cancer that got him.